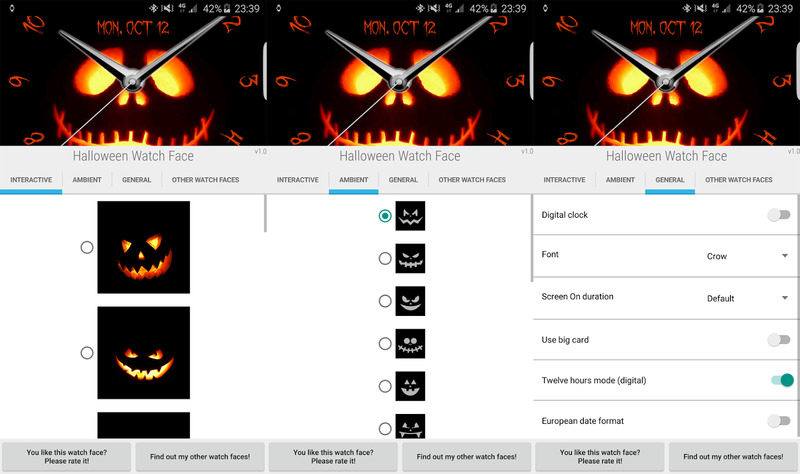 We're mere days away from the spookiest of holidays (other than Arbor Day, don't get me started), and you can make your Android Wear device more festive with these five new Halloween watch faces. There are scary cemeteries, creepy disembodied eyes, pumpkins, and gore galore. 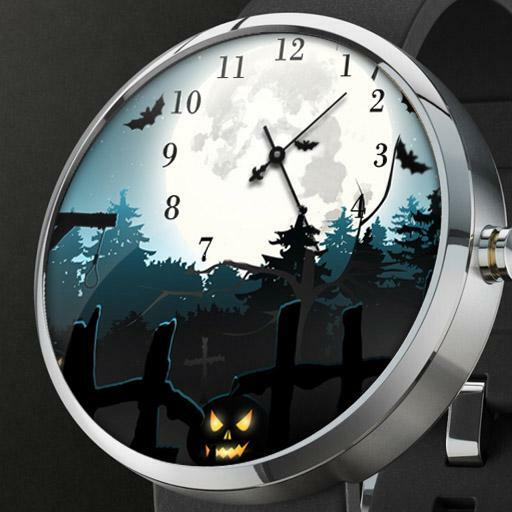 This one is pretty full-featured as far as seasonal watch faces go. 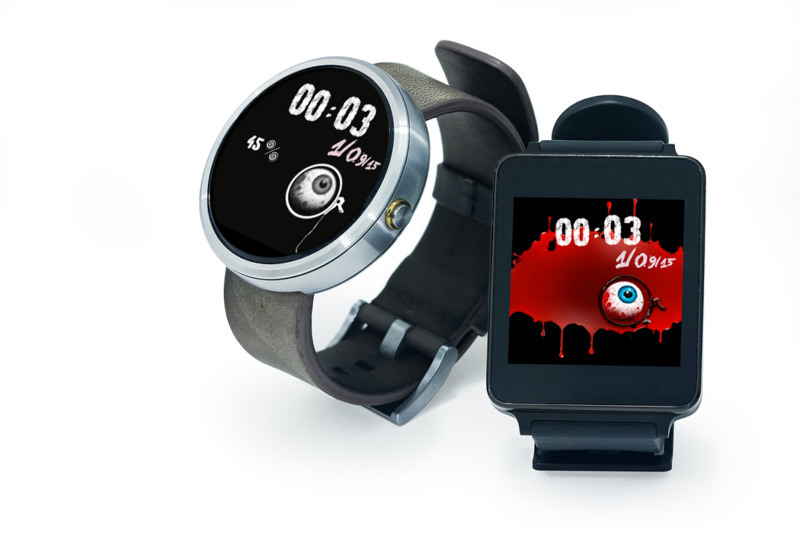 There are several different (gory) view modes, and it can display a lot of information. 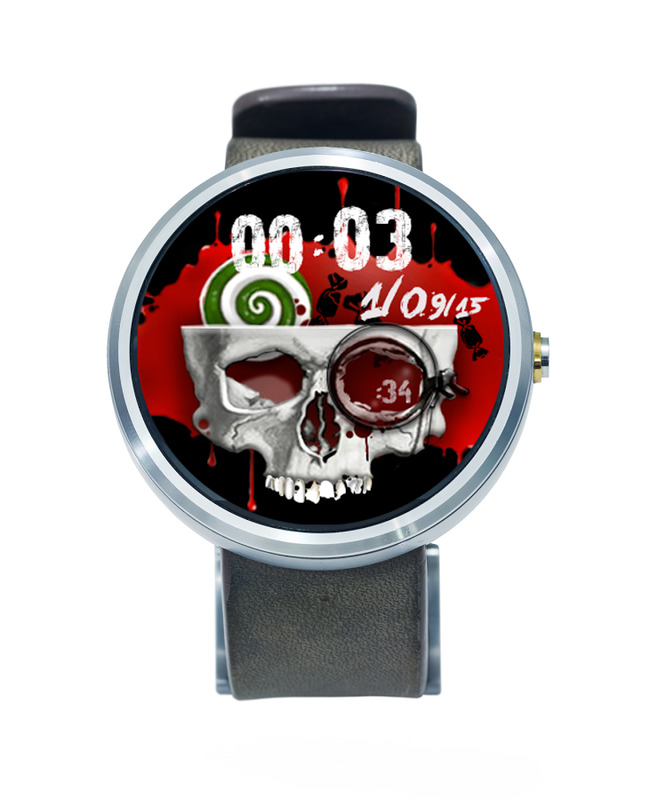 If you're a horror movie fan or just a little weird, you might be able to get away with having a bloody skull on your wrist year round. This one costs two bucks. 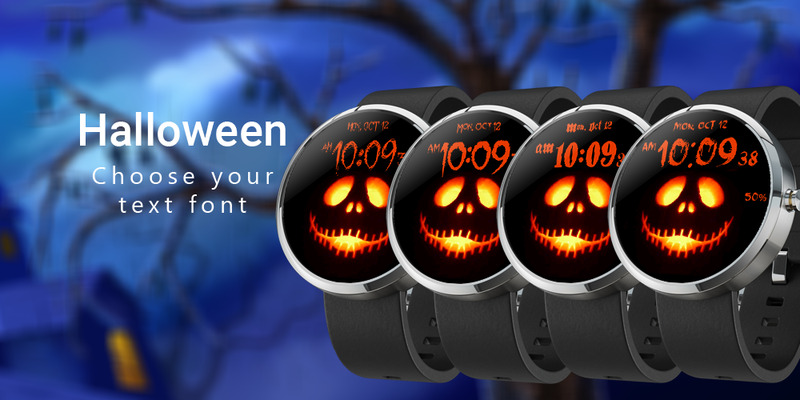 Be the coolest guy on the halloween party with this brand new and customizable Halloween watch face. Perfect for those people who’s a little bit tired from pumpkins. Scary and funny at the same time. The main element of this watch face is hanging eye which makes a movement from left to right in a minute. Simple — black or white background with blood road an eye spinning around as a second hand. Candy view — white or black background, blood road and a candy rolling out of the scull and back. 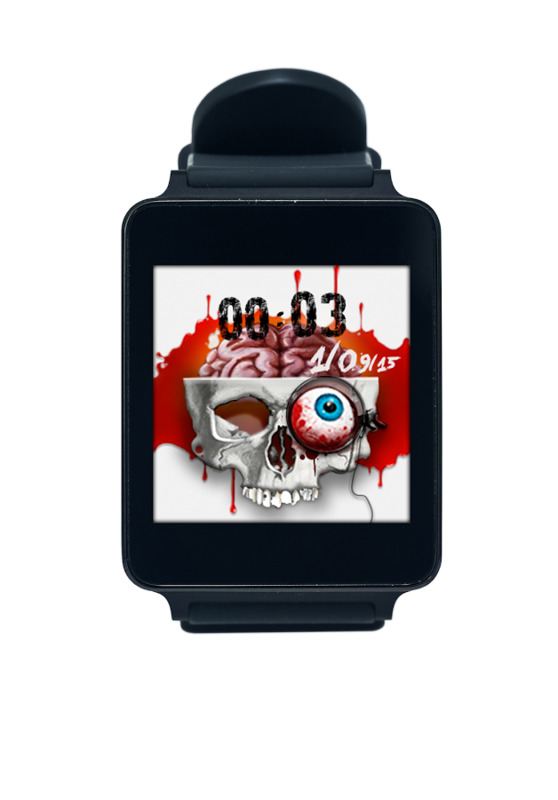 Brain view - the most impressive animated view of this watch face. Mostly similar to the previous, but with a brain moving up and down of the scull. By the way, there is support for 12/24 hours time format. An ambient mode is supported too. 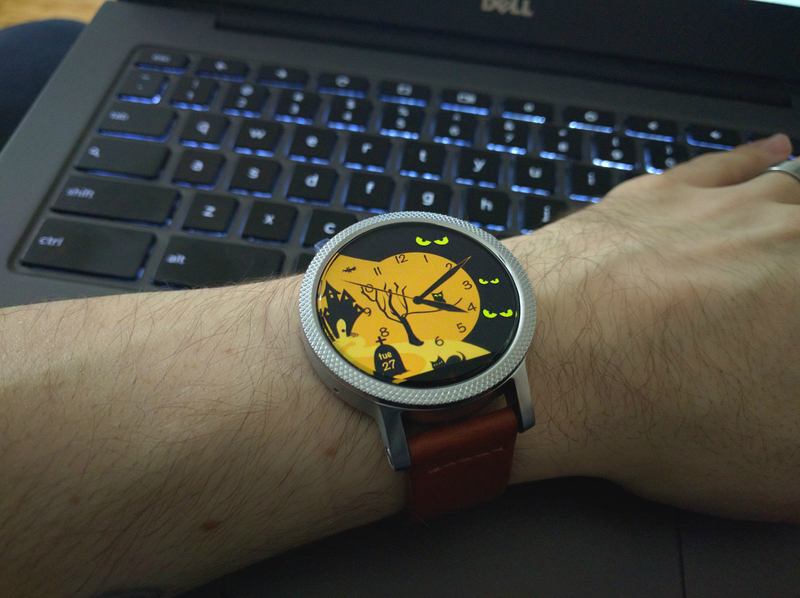 Halloween watch face looks great on round and square devices. All android wear watches are supported: Moto 360, LG G Watch R, LG G Watch, Sony Smartwatch 3, Samsung Gear Live, Asus ZenWatch, Huawei Watch. 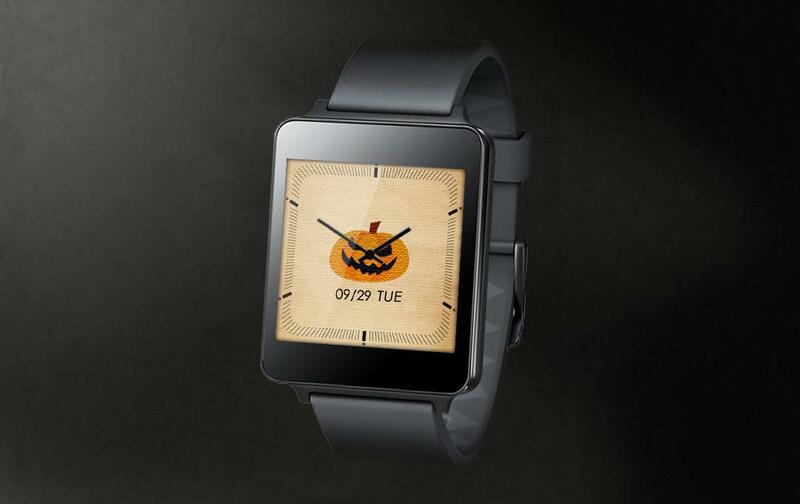 The Pumpkin Watch Face is straightforward. 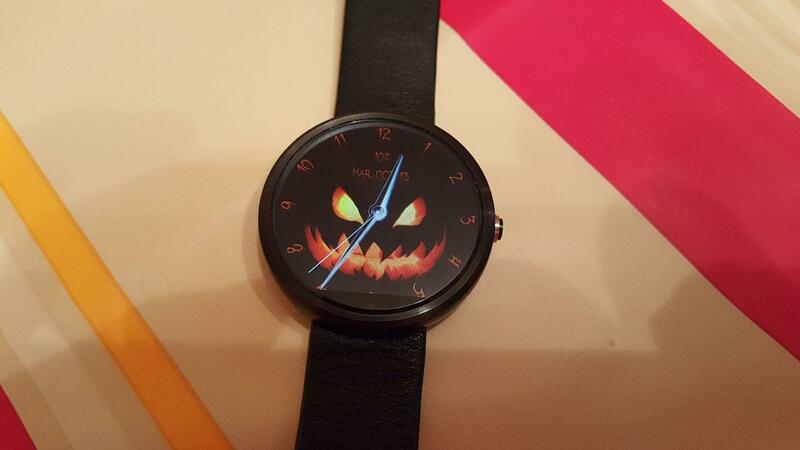 It's a clock with a jack o' lantern in the middle. 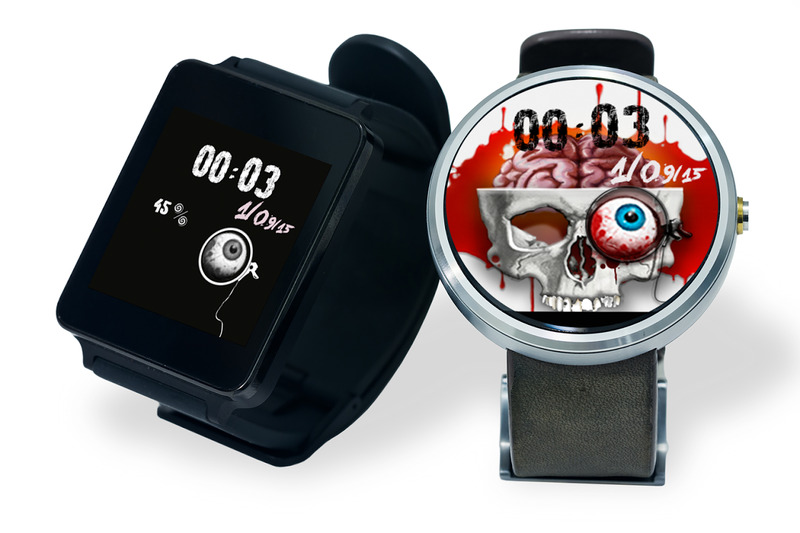 It's ideal for when you want to be festive, but would still like to be able to read the time without a bunch of eyes and bloody brains staring back at you. 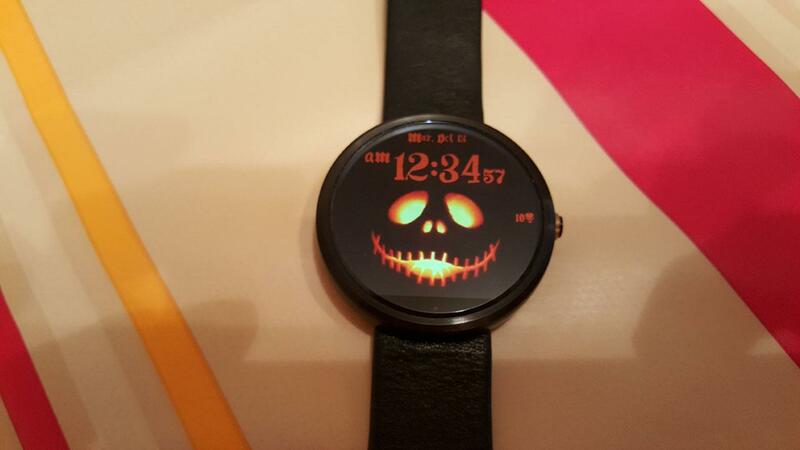 This watch face has a lot going on. There are the assorted creepy animals, the blinking eyes, and that sweet castle in the background. 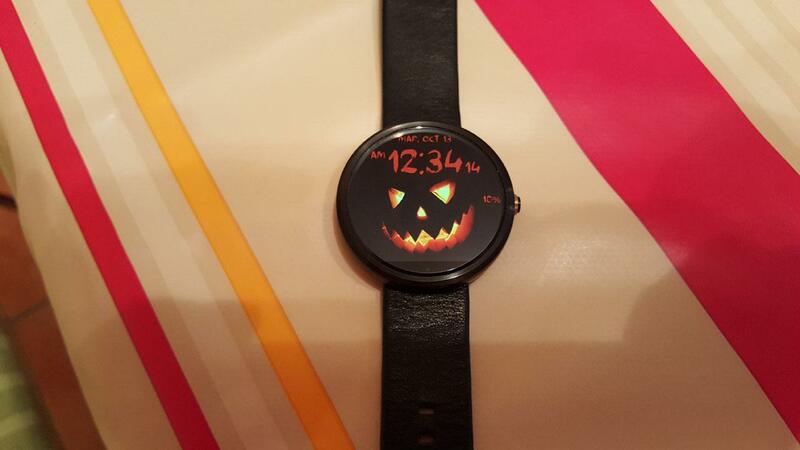 The clock part of the face is a little small, but it doesn't get in the way of all the festive Halloween stuff. 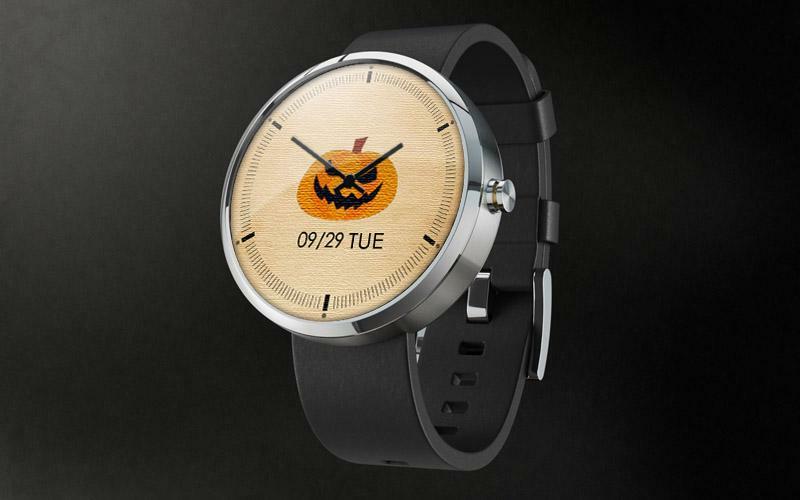 The aptly named Halloween Watch Face works best on round watches. 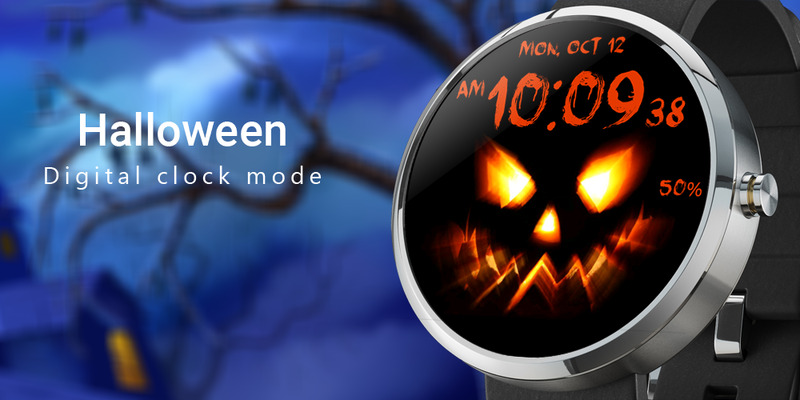 Halloween Watch Face for Android Wear with animated eyes. 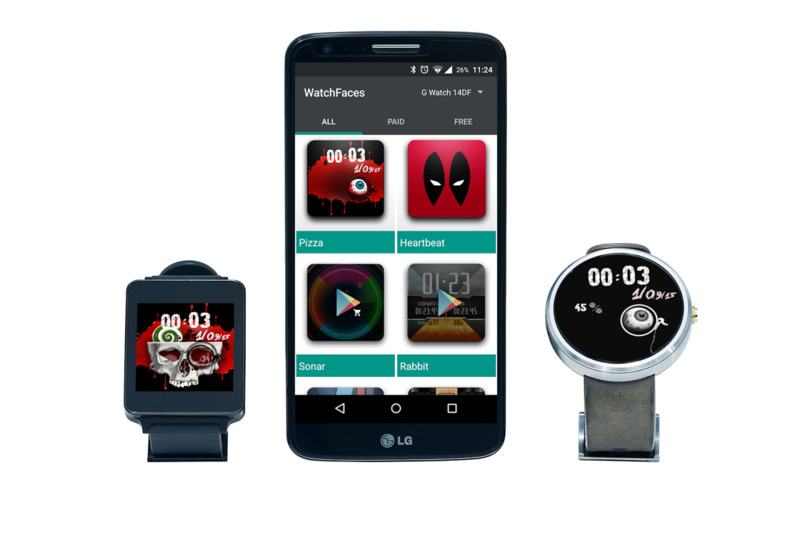 Tested with LG G Watch R, LG Watch and MOTO 360. 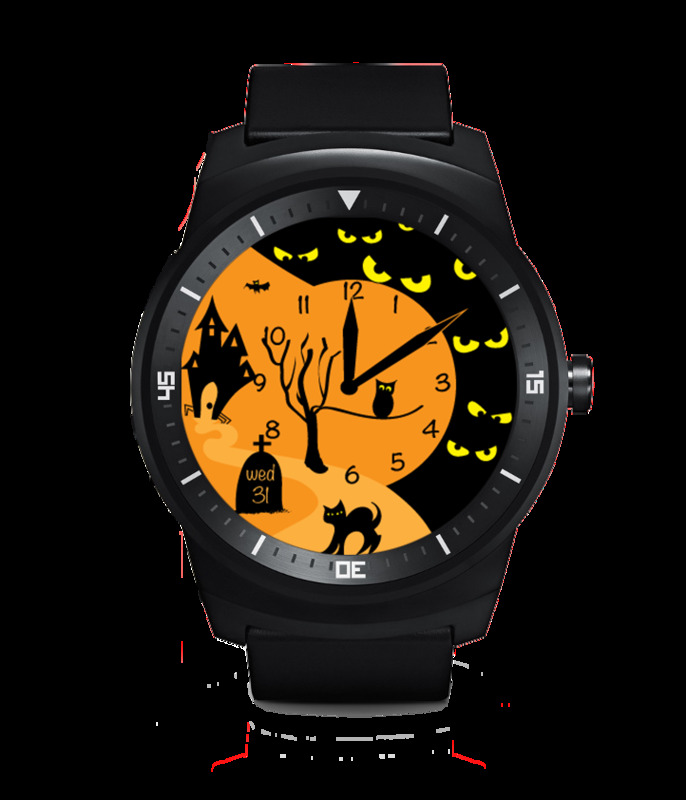 Halloween Night Watch Face has all the usual Halloween accoutrements including bats, a spooky forest, a jack o' lantern, and a full moon. 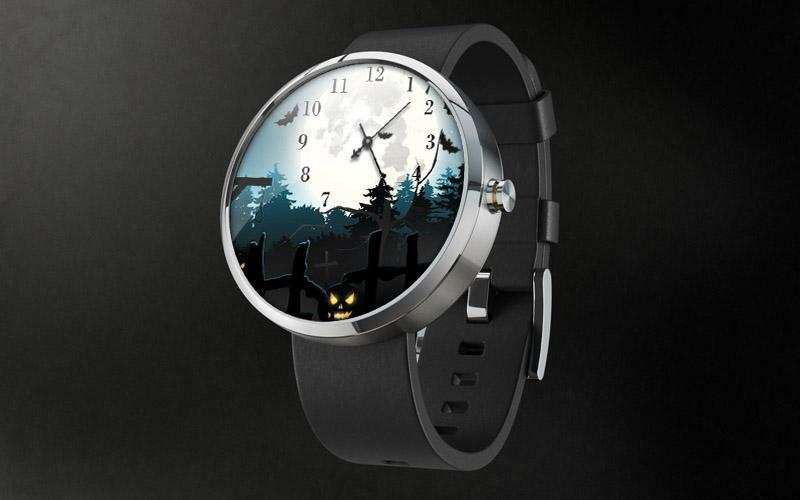 The analog clock is shifted up to overlay the moon, which is smart. It fits in nicely and looks okay on both round and square watches. 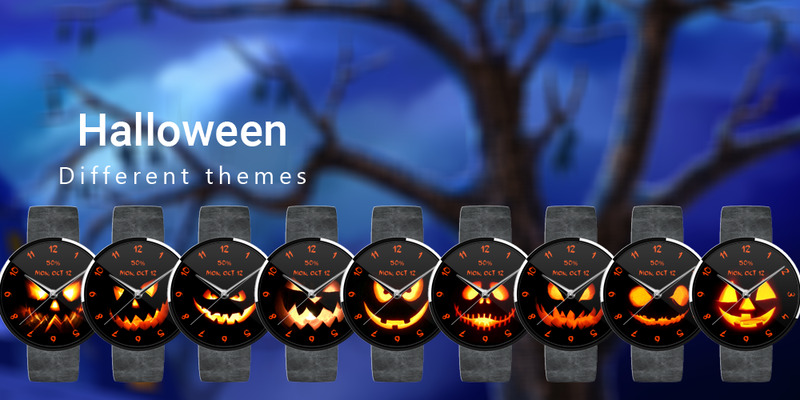 For the low, low price of one dollar, you can get this neat jack o' lantern watch face that has a ton of different design and layout options. It's not technically only jack o' lanterns, though. Some of the included faces are more skull-like. There are more than a dozen faces, digital and analog readouts, and card settings. 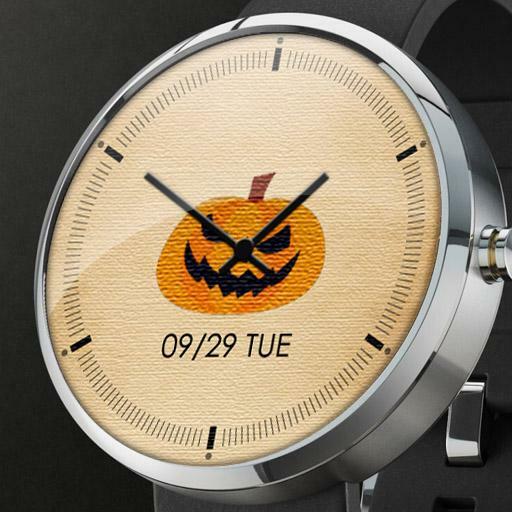 Halloween Watch Face for Android Wear . 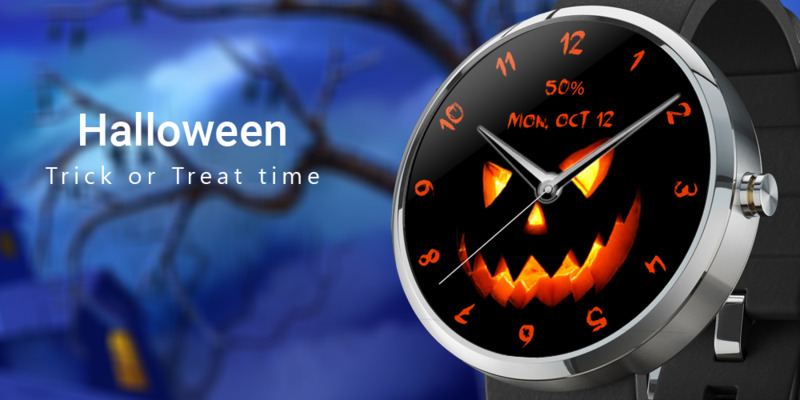 This halloween watch shows the basics of what a watch should display : hour & day. Choose your pumpkin. Freaky, happy, scary, joker... make it match your mood. 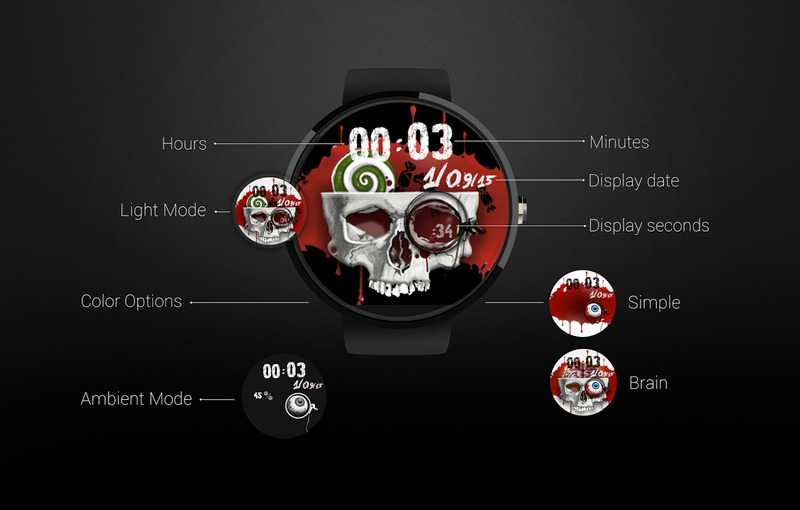 This watch face allows you to choose your favorite skull design (17 availables). Settings are available in both watch and android wear companion (settings in the watch face selector). 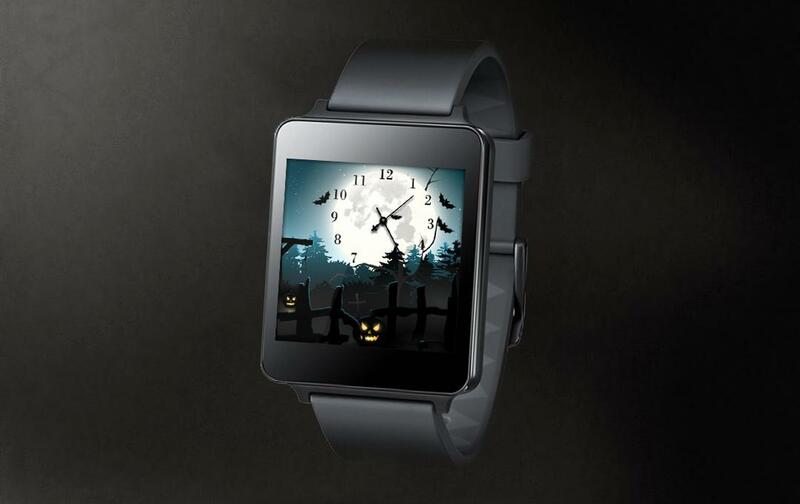 And with that, we at Android Police wish you a spooktastic Halloween. Please send us some candy.